There is risk to ingesting wild mushrooms. 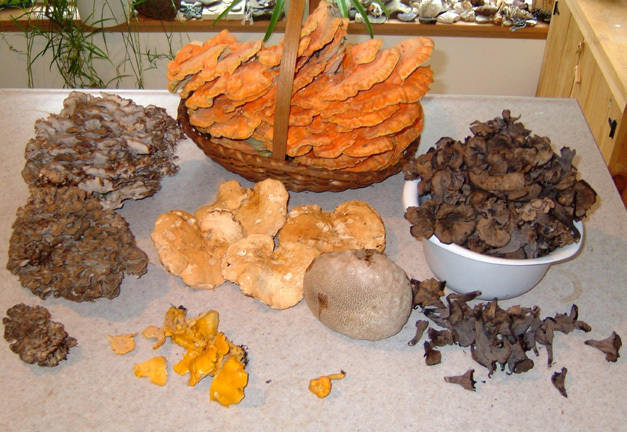 Illness and even death can occur from ingesting wild mushrooms. Mushroom-Collecting.com makes no warranties as to the safety of consuming wild mushrooms and accepts no liability or responsibility for any consequences resulting from the use of or reliance upon the information contained herein, nor for any health problems, consequences or symptoms which may arise from contact with or the ingestion of mushrooms, and other fungi herein described. Any person who ingests mushrooms or any other potentially dangerous fungi does so at their own risk! Be sure to review Rules for Collecting and buy some books! When in doubt, throw it out(side)! A good day in early September!